Thinkspace is a very vibrant and upbeat environment. Peter understands what it takes to be at ground zero and always willing to work with startups to provide them an opportunity to be successful. Relocating the business out of our homes into Thinkspace was our best move yet! The digs are great, the location convenient and the staff exceptional. We’ve also enjoy the “business community ” we’ve gained being at thinkspace. Thinkspace has a proclivity for innovation and sincere interest in supporting client success. Thinkspace is an upbeat community of successful tech entrepreneurs. The Thinkspace team is part of OUR team. They’re an extension of our staff in so many ways, and have been critical to our success thus far. We provide entrepreneurial tech acceleration services that strengthens the social fabric around entrepreneurs and contribute to their success. Stop Waiting. Start Launching. Find out how to hire a rockstar launch team! With 20 years of technical recruiting experience we help find top-tier, permanent engineers and designers for your startup. Special access to Amazon Activate, Microsoft Bizspark, Microsoft Azure, and other amazing startup tech tools, support, and developers! See our Perks and Benefits to find out more. Tap into the minds of our experts and learn from their experience. Contact us to find out more. Sales Acceleration, Marketing Strategy Genius, Speaker, Author. Legal counsel to startups and emerging growth companies. We are plugged into the Seattle startup community and support the startup ecosystem. Find out more. 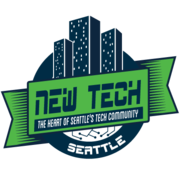 Boasting over 7,000 members combined, New Tech Eastside is the sister event to New Tech Seattle, Seattle’s largest monthly event. Here you will connect with smart, fun, creative people from our vibrant tech community- from startup to enterprise. 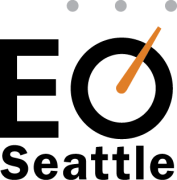 Join the EO Accelerator and build your million dollar focus plan to get your startup to $1M in revenue over the next 12 months. Get in touch to learn more. New Tech Seattle is where you’ll make valuable connections, enjoy great food and drinks, learn about new companies doing cool things and have a fun night out. Most importantly, you’ll discover the people, partners, organizations, and resources to help you to build your dreams.